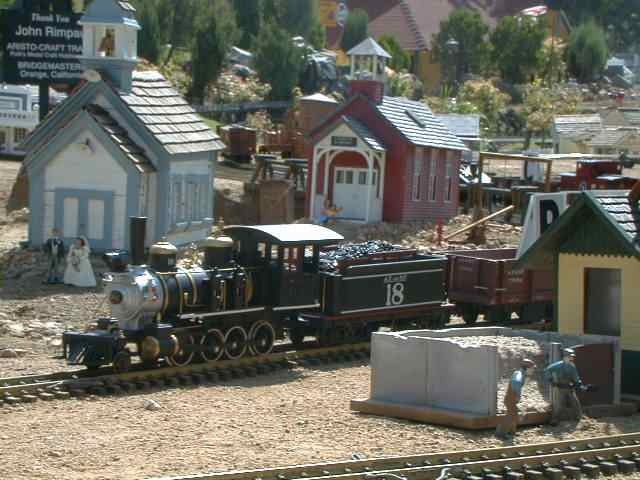 The public is encouraged to interact with the display by actually running some of the trains. 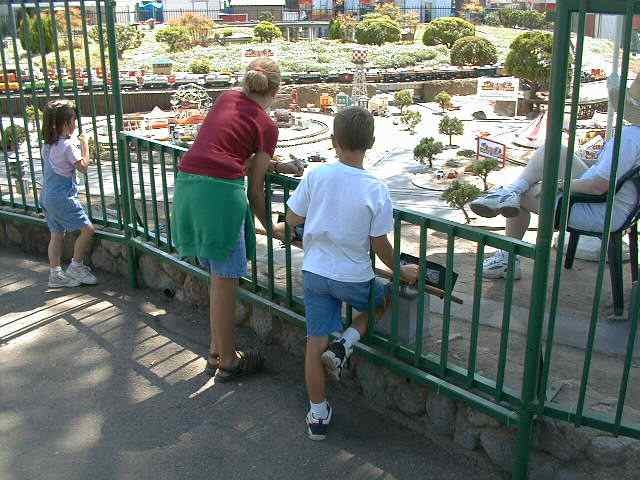 There are several stations where kids of all ages can participate. Here at the circus display, two children are held in rapt attention. I had to wait for quite a while to get this picture. Usually there were so many people crowded around the controls that I couldn't show anything but people crowded along the fence. Maybe it was just the shade provided by the tent, but I think that there was something more that drew these spectators to the display. 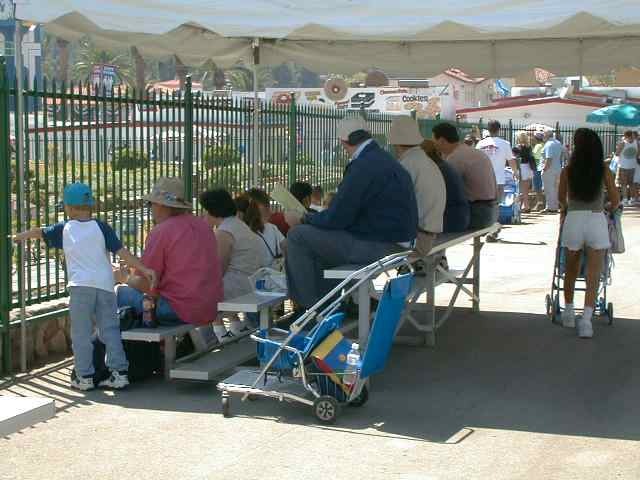 They could have been sitting in the shade watching the horse races, but they choose to rest here. 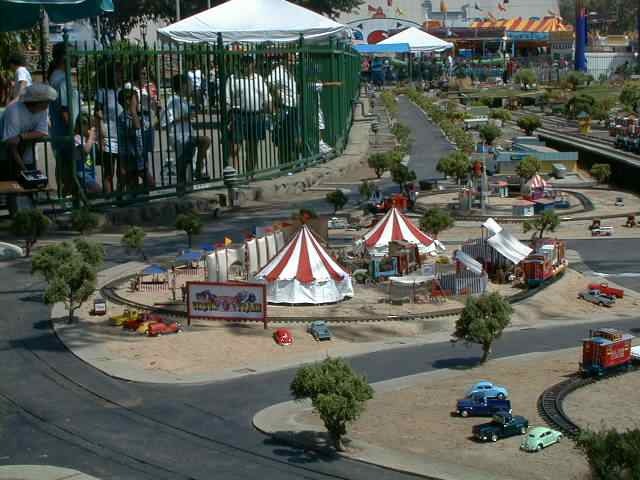 The circus/carnival interactive area consists of six separate loops where circus theme trains from various manufacturers can be run by the public. Each train carries a large letter which identifies which power pack runs that train. 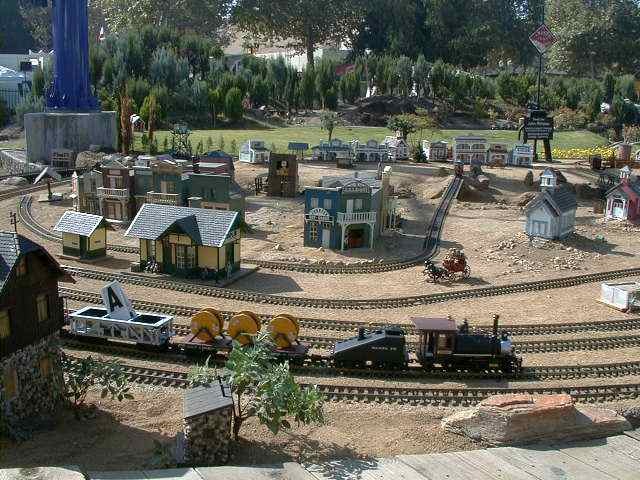 At the other end of the Fairplex Garden Railroad is another themed interactive area, this one based on an old California town. 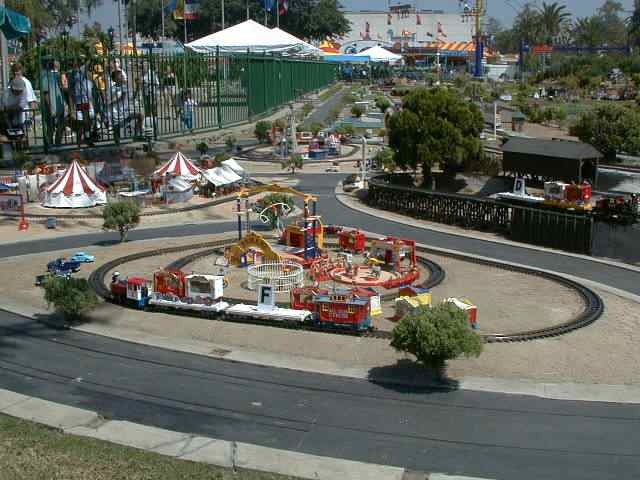 It costs money to install, maintain and operate the Fairplex Garden Railroad. 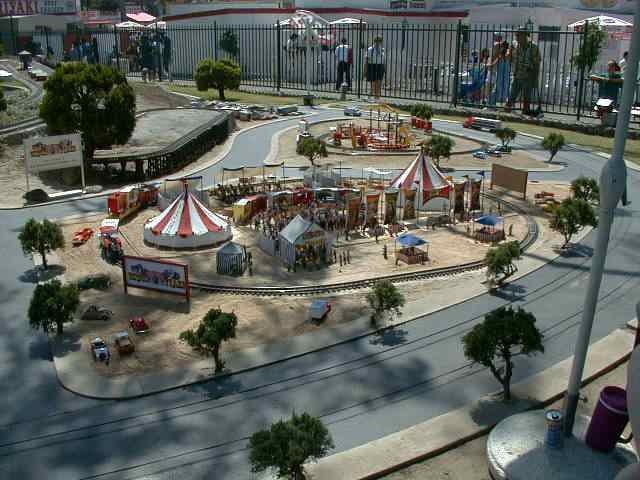 Most of the display rolling stock and some of the bridges and structures are provided by manufacturers and local large scale dealers. 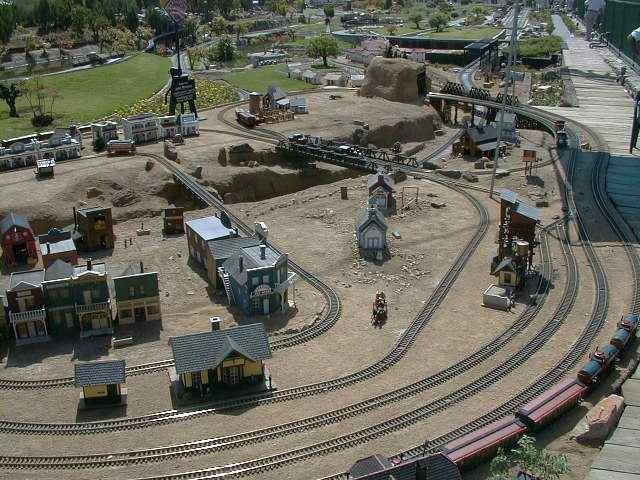 The western town interactive area is supported by John Rimpau and Aristo Craft Trains and BridgeMasters.